We are a unique name in the industry to provide our prestigious clients an exclusive range of Box Strapping Tape. 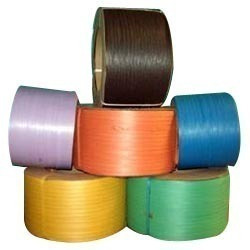 To cater the demands of our customers, we are involved in offering PET Strapping Tape. We manufacture and supply a wide range of filament tapes, which are used in various sealing, closing, strapping, bundling and reinforcing applications. These tapes are suitable for heavy duty packaging such as sealing HR coil, heavy weight boxes or objects, palletising export cargo etc. Our range of filament tapes are available in many sizes, colors and grades. Our clients can avail from us Pet Strap that are manufactured using high quality of plastic and metal. These rolls are available in various specifications and are in line with the international quality standards. Only advanced technique is used for making both Machine and Manual Applications. - Models for Manual, Semi Auto Heat sealable and Fully auto Heat sealable Straps. - Strap sizes from 6mm to 19mm. - Higher production plants from min 35kg/hr to 100 kg/hr. - Nitrided screw and barrel made out from special Nitro alloy steel for long-life and trouble free operations. - Helical Gear Box with inbuilt thrust Bearing. 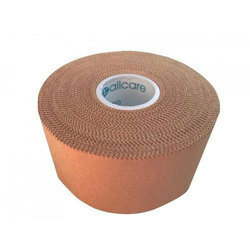 Our company has gained name and fame in presenting Strapping Cloth Tape.